Iloilo City is the capital of Iloilo Province. It is strategically located at the heart of the Philippine archipelago and serves as a gateway to Panay Island. It is a highly urbanized metropolis and is the center of commerce, trade, finance, education and governance in the region. 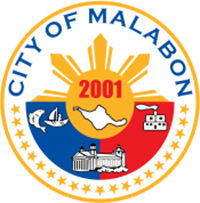 Iloilo City beckons to all investors. With its stable economic growth and improved business-investment environment, the city is now the ideal investment destination of the South. Iloilo City is very rich in natural resources, competent human resources, cultural and heritage attractions, and is strategically located, making the City the preferred destination for meetings, incentive travel, conventions, and events (MICE) and for investment as well. The investment climate is very conductive for business opportunities. Iloilo City has become more business-responsive, gaining the trust and confidence of investors from around the world. Iloilo City offers ample opportunities and adequate investment areas guaranteed to generate favorable returns. Theses investment includes IT, housing and real estate, education, tourism, infrastructure, food packaging, hotels and resorts among others. Iloilo City is now rapidly developing as a new economic powerhouse in the country.